Retired Law Enforcement Officer's Identification Act. Keystone Shooting Center is proud to provide our local law enforcement personnel with a variety of services, including retired law enforcement office annual firearm qualification courses. If you need to receive or renew your firearm qualification, look no further than the certified instructors at our state-of-the-art shooting range. What Are Retired Law Enforcement Office Annual Firearm Qualifications? In response to LEOSA, on December 13, 2005, the Governor signed Act 79, the Retired Law Enforcement Identification Act (RLEIA). RLEIA tasked the Municipal Police Officers' Education and Training Commission (MPOETC) with establishing uniform identification and qualification cards for retired law enforcement officers in PA and a method of conducting annual firearms qualifications for such individuals. Receive an ID card: Qualified retired law enforcement officers are those who served in good standing as law enforcement officials for 10 years or more, are mentally sound, are not under the influence of alcohol or drugs and are not prohibited from carrying a firearm, among other requirements. If the official meets these qualifications, they can contact the agency from which they retired to receive their ID. Affirm eligibility: Eligibility is determined by PA codes, which dictate several requirements before a retired officer can arrange for a firearms qualification, such as that the officer must reside in the state of PA. Complete required paperwork: If an officer meets eligibility requirements, they must then complete PA's Retired Officer Concealed Carry Acknowledgement Form. This form confirms that the applicant meets the definition of a retired law enforcement officer and lists the weapons they plan to carry. A certified instructor must complete the form before its return. Complete a firearms qualifications course: Retired law enforcement officers must take a training course each year to apply for and renew their qualifications. Keystone Shooting Center's certified instructors have been approved by the state of Pennsylvania to perform the annual certification requirements. After the retired officer completes the process, the county sheriff's office will run a background check and issue a confirmation number. This number validates the officer's qualification card. Our course prepares you with everything you need to receive your retired law enforcement qualification. We'll provide you with a brief refresher overview of safe loading and unloading procedures, as well as general justification principles. After successfully finishing your required course, we'll document the required firearm information on your acknowledgment form and sign it. You'll then need to take the completed form to your local sheriff's office for your confirmation number. If you want to take full advantage of your rights as a retired law enforcement officer and receive your LEOSA proficiency qualification, Keystone Shooting Center in Mars, PA can help. 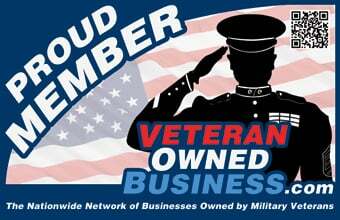 Our veteran owned and operated facility is proud to serve law enforcement officials like you through our vast array of services. You'll find friendly instructors and a service-oriented attitude when you visit our range to take your annual firearm qualification course. After completing the program, feel free to stay and hone your skills at our climate-controlled indoor shooting range. We offer low hourly rates and even provide discounted memberships for our law enforcement patrons. You can also check out our full-service firearms superstore to find the new gun or accessory of your dreams. Enjoy the freedom to conceal carry wherever you might be. Sign up for one of our LEOSA qualification programs now, or contact us online or at (412) 357-8000 to request more information.